It’s hard to say whether it’s the volume or the pitch that makes it so distinctive, but David Horst’s instructions can be heard a whole field over as Real Salt Lake practices each day. 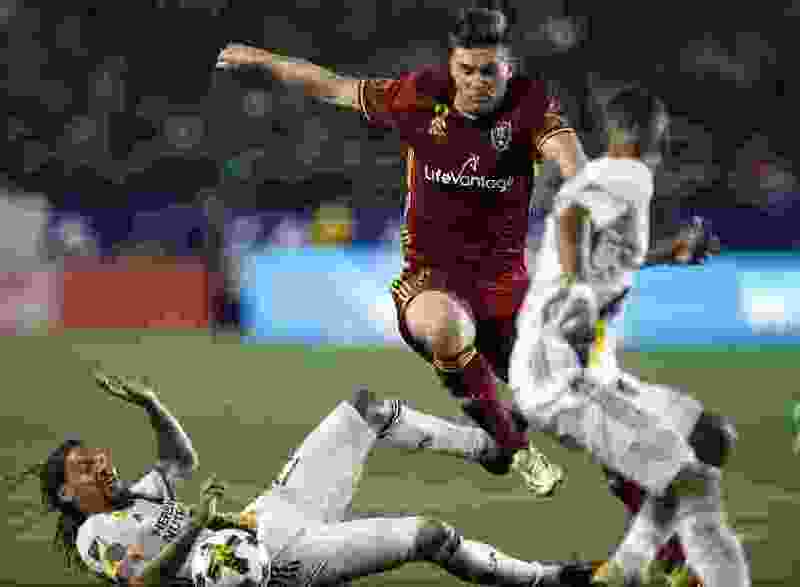 Horst is better known as a backup center back, but many of RSL’s young talents name him first when asked what teammates have helped them develop most. At 6-foot-4, Horst is a physical presence that can fill a hole if needed, but the 11-year MLS veteran doesn’t have the speed to expect to be an everyday player. When a reporter asked after last month if anyone else needed Horst for an interview, he laughed. That self-deprecating humor is one of the things that has made him so approachable. Horst even switches languages when he’s positioning Spanish-speaking teammates. Most of those players have learned at least “right,” “left,” “step,” and “drop” in English, but he speaks in Spanish to be more effective in communicating. Horst’s leadership came in handy at the beginning of the season when injuries forced a constant shuffling of positions defensively. Horst made five appearances before he was sidelined as well, with a knee injury, giving Besler his first shot in the lineup. On the other side of the field, forward Corey Baird also identifies Horst as a mentor. Horst has given Baird advice from the perspective of someone who faces him in training most days. Real Salt Lake was on the outdoor fields at Zions Bank Real Academy for the first time during the international break. RSL trained indoors at the Herriman facility during preseason, but practicing outdoors at the facility was postponed as grass-planting fell behind schedule.